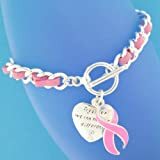 Help spread alzheimer's awareness and support with the Alzheimer's Awareness Bracelet created in the Alzheimer awareness color of white. Swarovski crystals and pearls show off the bali silver accents. A sterling awareness charm hangs by the toggle. 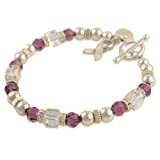 A yellow bead sits in the center of the bracelet to signify hope, awareness and to remind you that you are not alone in the fight for Alzheimer's disease. Carry up to 8 feet of 550 Mil. Spec. paracord with you in this bracelet! Cord can be used in many emergency/survival situations including tie downs, hammock ties, snares, fishing/sewing line, slings, shoe strings, rifle slings, etc. Bracelets are stylish and highly functional. 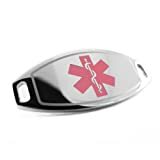 These are useful whether you are a hiker, biker, runner, outdoorsman, fisherman, hunter, police officer, firefighter, military, EMS, or anyone else! Perfect for anyone interested in the outdoors! 550 Paracord is highly durable, extremely strong, and can be used for a number of survival needs. Hand-made in the USA! 1/2 profits go to missions. 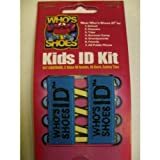 You will receive (1) package of 2 BLUE Velcro banded ID Shoes tag and Child ID card, included. The Shoe ID band is made of high-quality Velcro and a water resistant information label. Shoe ID Tags (ID bands) fits over laces, Velcro, boot loops, and sandals. SET OF TWO - One for the RIGHT foot and one for the LEFT foot. 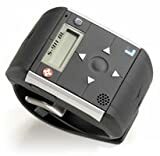 This information is critical in an emergency to both identify the child if lost or injured and then to quickly contact the parents to be reunited with the child and to authorize medical treatment if necessary. Also great for Alzheimer's patients or those with memory loss. FREE ID card inside package. Easy to use and water resistant!